In 2011, Leslie started Austin Veggie Chef, which quickly blossomed into a thriving in-­home personal chef service passionate about natural foods and healthy living. Through her experiences, Leslie recognized the need for a premium personal chef service that fully caters to the exact needs of a discerning clientele base. Elite Chefs of Austin seeks to connect highly skilled and inventive culinary personnel passionate about quality with clients desiring the utmost level of individual service. This philosophy permeates throughout Elite Chefs of Austin, from the classically trained chefs we work with, to the food we create; our clients’ satisfaction is paramount. We want to make your dream luxury chef service a delicious reality. Leslie remains steadfastly dedicated to ensuring that Elite Chefs of Austin completely surpasses our client’s expectations; working one-­ on-one with both chefs and clients to guarantee Elite Chefs of Austin always delivers the perfect handcrafted culinary experience. Leslie Haak is the owner and founder of Elite Chefs of Austin. 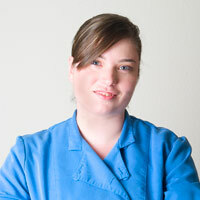 Leslie attended the Natural Epicurean Academy of Culinary Arts and has returned as an assistant and guest teacher. She has been a personal chef for over a decade.